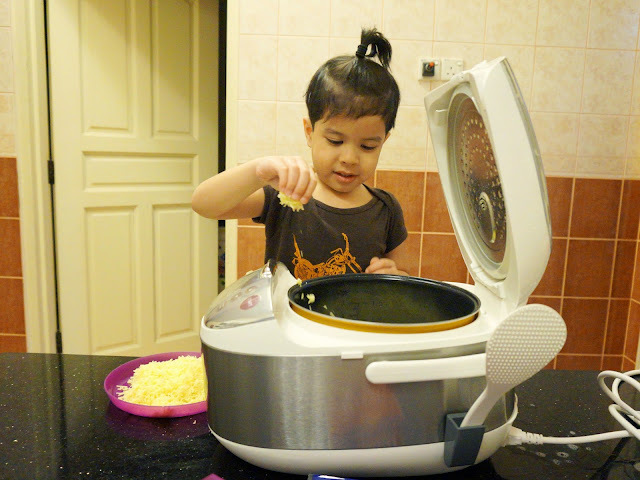 The Diaries of a Glam Mama: Mac and Cheese - in a rice cooker? 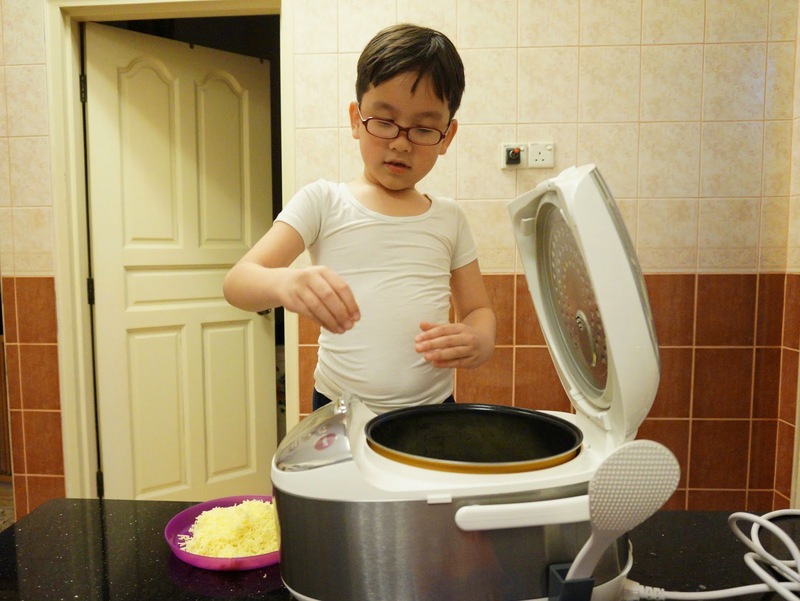 Mac and Cheese - in a rice cooker? *Please note that this recipe serves 4-6 people. These are my combination of ingredients for the cheese sauch. Mix the macaroni, water, and salt in the rice cooker. This is how I figured out how much water to use: I measured the macaroni to one knuckle, and made sure the water was one knuckle on top of that. Does that make sense? LOL. I want to say something fancy like, “use a 1:1 ratio to figure out how much water to put in” but I didn’t know if that would be right. Too much water la dey. 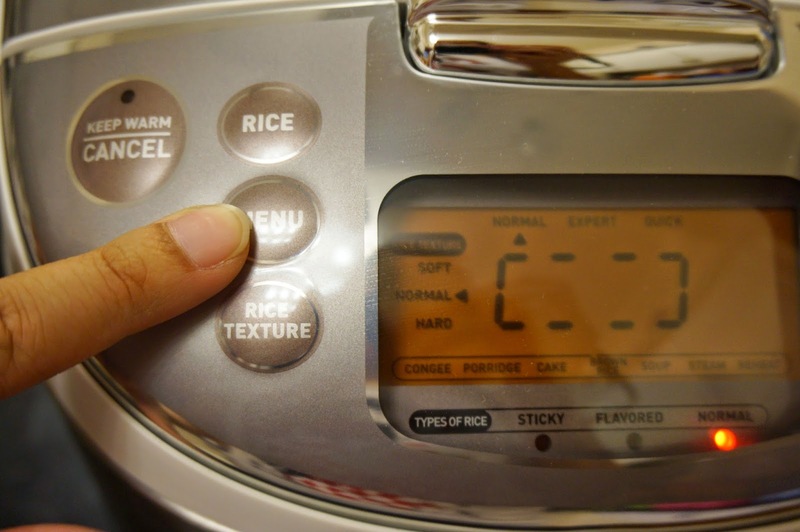 On my TEFAL RK704E Fuzzy Logic Rice Cooker , I have the option of adjusting the settings depending on what I’d like to cook. Some of the other things I can cook in it include rice (of course), congee, porridge, cake(! ), brown rice, and soup. 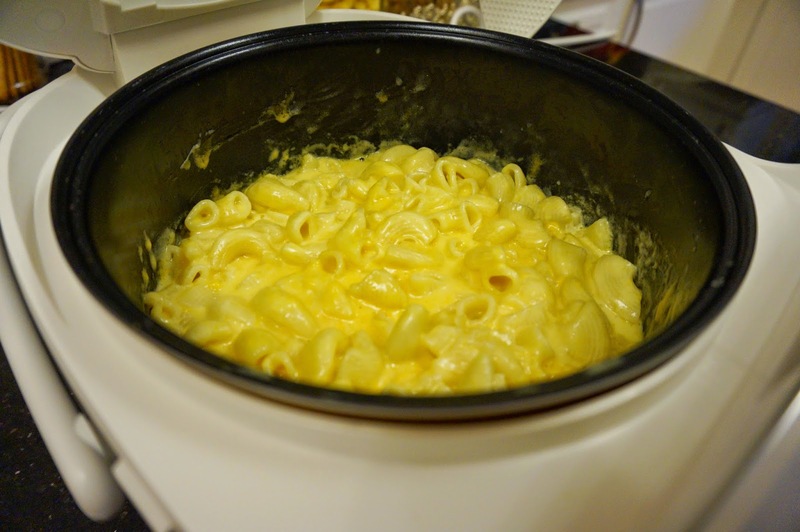 Naturally, I decided the first recipe I want to do with my new rice cooker is mac and cheese, lol. Anyway, if all you’re cooking is rice, you can choose the texture you’d like for the rice. Soft, hard, normal? Up to you! I like a normal basmati rice, whereas my dad loves a soft jasmine rice – it’s all a matter of personal preference. Beep beep! So canggih waaaan. For this recipe, I chose the “normal” rice function (even though I’m actually making macaroni…the rice cooker can’t even tell, muahahaha), set the timer for half an hour, and pressed Start. Easy peasy! Oh, cheese...yummmm...As you can see, I shredded the block of Mainland cheese. 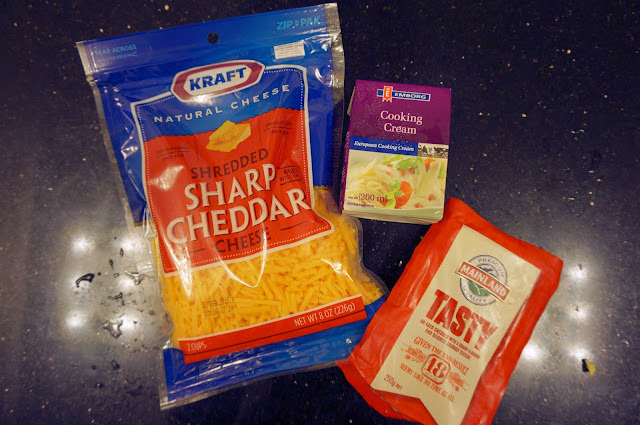 After the macaroni is done, mix the cooking cream and cheeses into it. It’s so easy (and safe!) to do, I have my kids doing it here. 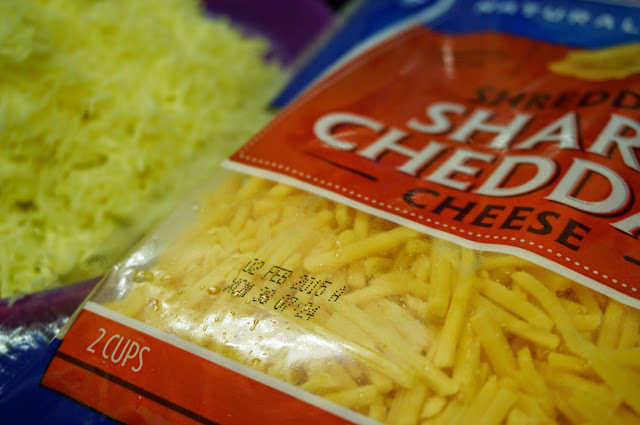 Set the cooker to “keep warm” till the cheese mixture is mixed through. Et voila! The mac and cheese is done! I like to eat my mac and cheese with deep fried chicken. 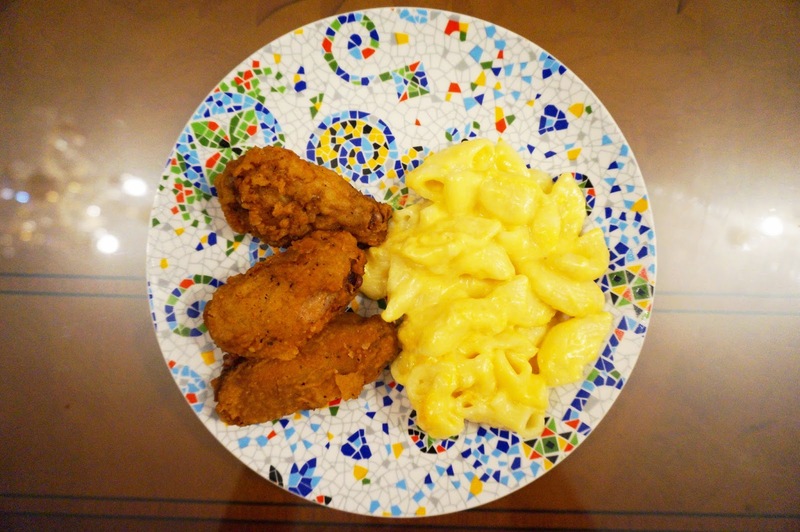 That’s right, this Malaysian gal eats her mac and cheese Southern style! To spice things up, I add a dash of Tabasco too. This is my favorite comfort food for sure. The funny (slash sad) thing is, my kids don’t eat mac and cheese at all. So since I can only make small batches, I usually either do boxed mac and cheese (depressing) or cook the whole thing on the stove top from scratch (so much effort!). The plating so cantik right? Actually, in reality there is about three times this serving on my plate each time, so please don't tertipu ya hahahaha. One thing to note: while it is certainly easier to make this mac and cheese recipe compared to doing it on the stove, it actually takes longer. Usually, on a stove top, it takes me 20 minutes max. Doing it in the rice cooker took about 40mins. Daniel says it’s like cooking in a slow cooker, and that’s probably a good way of looking at it. It sure takes longer but it is also so much richer and tastier! This is honestly the best-tasting mac and cheese I've ever had k, no lie. I’m already looking for other recipes I can try to make in my TEFAL RK704E Fuzzy Logic Rice Cooker. Any suggestions? I’m an adventurous cook (and an even more adventurous eater!) so throw some wild recipes my way! Note: This is a sponsored post, which means that I received the product and/or service in exchange for writing this post/review. Although this post is sponsored, all opinions are my own. Eh! So clever lah you! This is such a brilliant idea. I'm finding it hard to fathom why your boys don't like mac & cheese though... maybe they are more rice-guys...my kids on the other hand could inhale the stuff all day. Using the rice cooker is really clever, can just put the ingredients and forget about it... well, except afterwards for the eating part, of course!